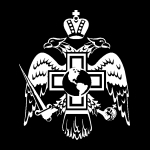 We appreciate your willingness to contribute to the Church of the Genuine Orthodox Christians of America. Please use the PayPal button below to donate with a credit card or bank account (where available) via PayPal's secure site. Whatever your contribution, we are very grateful. Thank you for your support.